At the core is an ARM Cortex M4 Microcontroller with integrated 2.4Ghz b/g/n Wi-Fi. The kit also has a set of 3.3V and 1.8V headers to add development shields and accessories. Alongside the powerful hardware platform is a proven and feature rich Software SDK which has previously been available to large OEM. Now available to the everyday consumer, the SDK is hosted on GitHub with sample and example codes covering common MCU use cases such as OTA updates and Wi-Fi configuration making the connectivity process simple and fast. The starter kit is FCC certified and available for sale. 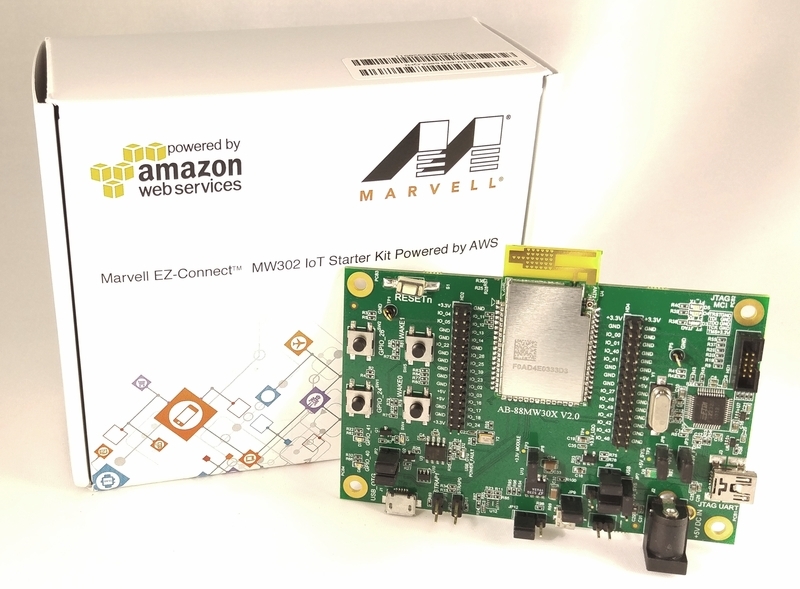 The RD-88MW302 Reference design is a development kit based on the MW302, the latest integrated Cortex M4 Microcontroller from Marvell. This integrates 802.11b/g/n Wi-Fi on a single microcontroller chip along with PA for optimized BOM and RBOM cost. 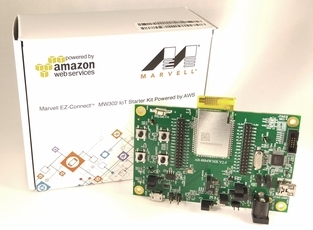 The chip is the basis for Marvell's Apple Homekit platform. Please contact Embedded Works Sales for Homekit development or for using Apple's Authentication chips. The MW302 features a 21mm x 37mm module mounted on a full feature development board. An Apple Authentication chip can be mounted for Homekit development.